Andrew McCutchen. 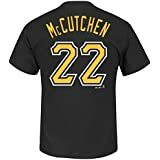 Andrew Stefan McCutchen (born October 10, 1986), nicknamed "Cutch," is an outfielder for the Philadelphia Phillies of Major League Baseball (MLB). He previously played for the Pittsburgh Pirates, San Francisco Giants, and New York Yankees. 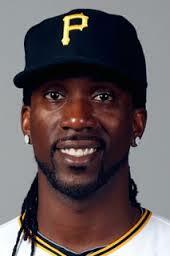 McCutchen was drafted 11th overall, by the Pirates, in the first round of the 2005 MLB Draft. He made his MLB debut in 2009. In 2012, he led the National League (NL) in hits (194), was the NL runner-up in batting average (.327), and was a NL Gold Glove winner. A perennial All-Star, he was voted the NL Most Valuable Player in 2013. 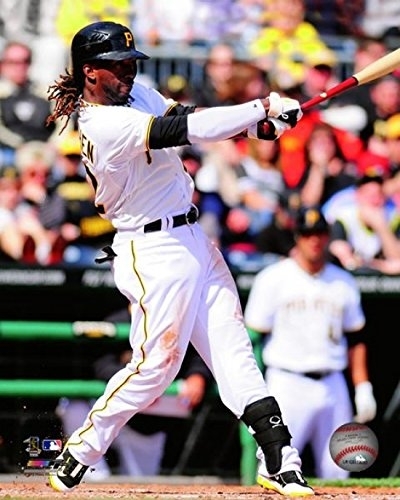 The 5'10", 200 lb McCutchen is currently under a six-year contract set to pay $51.50 million. Born in Fort Meade, Florida to Lorenzo McCutchen and Petrina Swan, two unmarried students at Fort Meade High School. Young Andrew lived with his mother while his father attended Carson-Newman University in Jefferson City, Tennessee, where he played running back on the football team. But, Lorenzo gave up his dream of making the NFL to be close to his son and returned to Fort Meade in 1989. He and Petrina married on August 1, 1992. 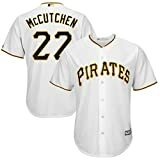 McCutchen was eligible to play varsity baseball as an eighth grader at Fort Meade High School. He batted .591 that year. During his varsity career, he batted .474 with his average for his senior season a blistering .709 with 16 home runs and 42 RBIs. Andrew also played football and ran track but, though he was one of the top football recruits in the state of Florida, he opted for a career in baseball. 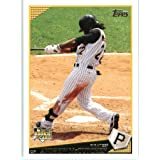 Though he had signed with the University of Florida, McCutchen was drafted 11th overall by the Pittsburgh Pirates in the 2005 MLB Draft. So, he signed with the Pirates instead of going to school. He started for the South Atlantic League's All-Star team in 2006, his first full season as a professional player, and was named the organization's Minor League Player of the Year. Consistently considered a top prospect, he was ranked a top 50 prospect by Baseball America in all four of his minor league seasons, peaking at number 13 before the 2007 season. 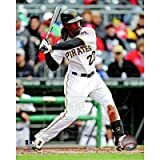 On June 3, 2009, after the Pittsburgh Pirates traded starting center fielder Nate McLouth to the Atlanta Braves, McCutchen was called up to the majors for the first time. He made his debut the next day, against the New York Mets playing the now vacant center field slot and batting leadoff . He singled off starter Mike Pelfrey in his first career at-bat and ended the day with two singles, one RBI, three runs scored and a stolen base. Against McLouth and the Braves, he recorded his first career four-hit game five days later. McCutchen finished his rookie season with a .286 batting average, 12 home runs, 54 runs batted in, and 22 stolen bases in 108 games. He finished fourth in the voting for the 2009 National League Rookie of the Year Award but was named the Baseball America Rookie of the Year.1 For his career stats, click here.